Illustrations made for UKEN14. www.uken.no The logo of the front page is not made by me, but belongs to UKEN. The font used is called Lunchbox and is made by Kimmy Design. 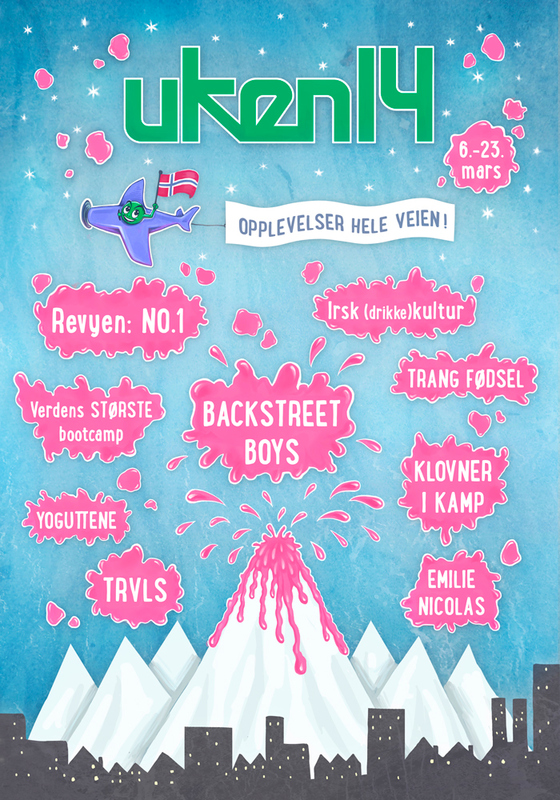 UKEN in Bergen is a great cultural festival arranged every second year by the students of the Norwegian School of Economics. Being one of these students, working in the Graphics' section, I was asked to create some illustrations for the festival's magazine and program, as well as for a special event for the students arranging the festival. Here is the result. Front page of the festival magazine. Illustrations for the festival program; front page (in the middle) and theme pages for "Events" and "Concerts"
Facebook banner for the event "UKEcruise"